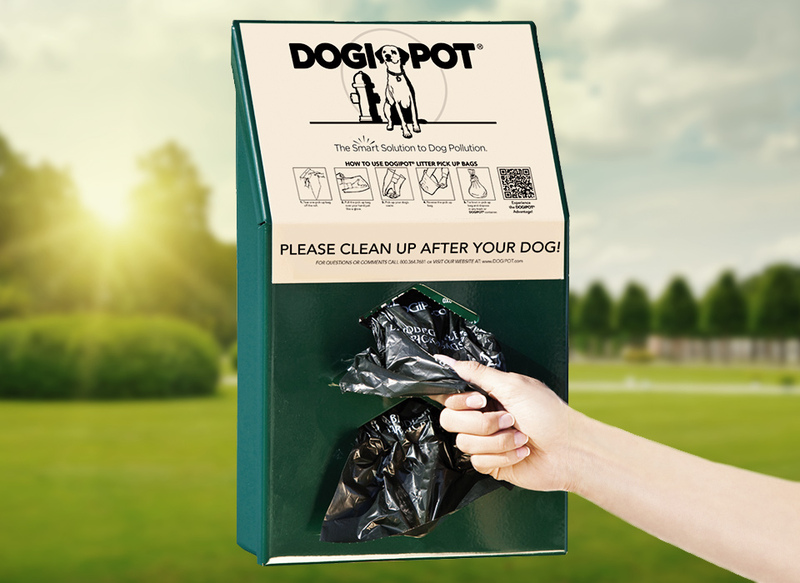 Tagged as all-in-one, aluminum, dog waste bag dispenser, doggie bag dispenser, header pack, header pak, litter bag dispenser, pet station, pet waste bag dispenser, pet waste management, sign, trash can, trash receptacle, waste management, waste receptacle. 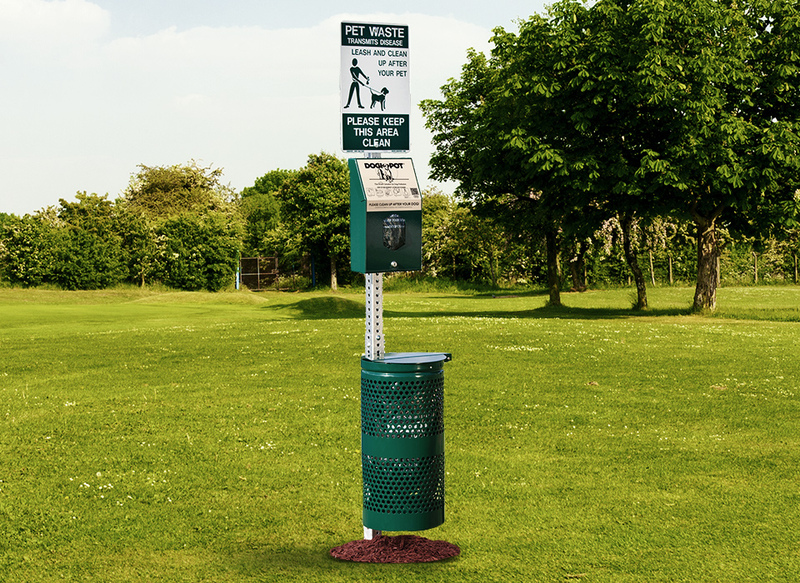 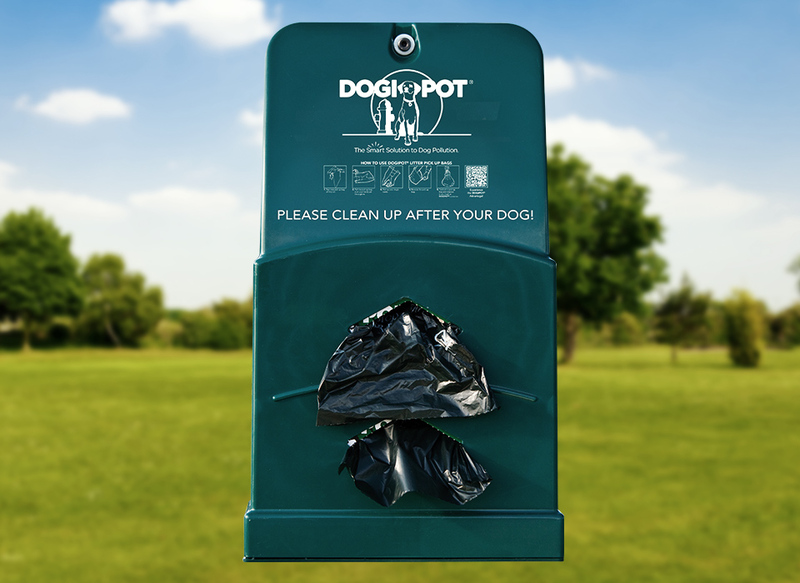 Combining the ease of use of a dog bag dispenser with the convenience of a built-in trash receptacle, the DOGIPOT® Header Pak Pet Station provides a simple solution to the hazards of dog pollution. 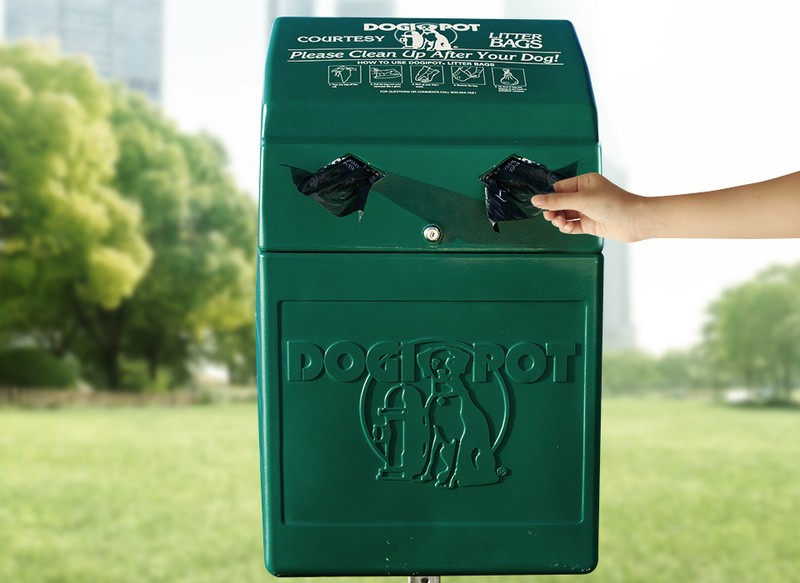 Ideal for apartment complexes, condo communities, parks, pet relief areas, highway rest stops, dog walk areas and much more, DOGIPOT® Pet Stations encourage pet owners to pick up after their dogs by providing an easily accessible way to collect and dispose of pet waste.